Call us anytime during normal business hours, or fill out the Email Form below. We promise to respond right away. We always look forward to hearing from customers... and from those who have not yet become our customers. 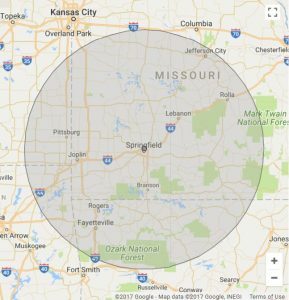 Our service area extends within a radius of 120 miles around Springfield, MO. If your location is outside this area, we will regretfully not be able to service your account.